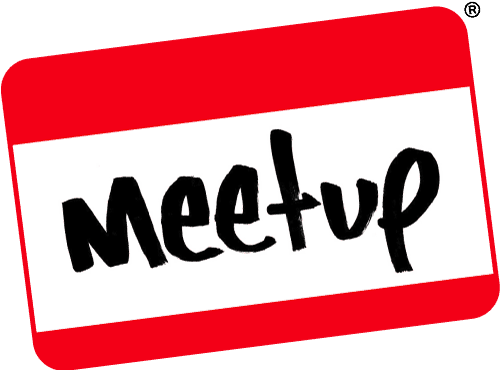 Recently I event started my own little campaign on twitch.tv/TheLawfulGeek. I named my little show “This is How we Role,” a name that took weeks to come up with, mostly because every other cooler name I thought of had already been taken. I play this campaign with friends and it takes place on Telia, the campaign setting I’ve been working on for the past 2 years. Now that this piece of gratuitous and completely blatant self-promotion is over, I’d like to tell you about all the RPG shows I watch on a weekly basis. Some of these have already ended but thanks to the magic of YouTube and Twitch VODs, you can still catch them and enjoy them. Every DM out there has a list of Dungeon/Game Masters they’d love to play with, to be around their table as a player, and Chris Perkins is at the top of mine. He’s creative and funny and involved with Dungeons & Dragons for all his life, all of which makes his RPG sessions phenomenal. On Dice, Camera, Action, Chris takes internet personalities ProJared, NateWantsToBattle, Commander Holly and Anna Prosser Robinson through the forgotten realms and the latest official D&D adventure, though mixing things up enough to make it unique. The Waffle Crew, as the party is known, is comprised of Diath the rogue (ProJared), Paultin the very drunken Bard (NateWantsToBattle), Strix the Trash Witch (Holly) and Evelyn Avalona Helvig Marthain the Paladin of Lathander (Anna). They’ve so far gone through Barovia, faced off against Giants, stumbled across the jungles of Chult, faced off against interplanar beings from Sygil and are now victims of Waterdeep intrigue and treachery…and their own past choices. The Waffle Crew is suboptimal and hilariously lovable. They’ve survived out of luck and, as a recent enemy said, being “too pathetic to kill.” That’s not to say they’ve come out of their adventures unscathed. No, they’ve died before, and DM Chris Perkins doesn’t pull his punches, to the point that guests and main players alike often comment on having survived a session. Dice, Camera, Action airs every Wednesday at 1am UK time or Tuesday 4pm Pacific, whichever works best for you. Remember that list of DMs I mentioned? This game has another of the people I would gladly sacrifice Timlah for a chance to play with. Eric Campbell is a really cool GM and in Calisto 6 he tackles the Superhero genre with the Cypher system. The party consists of his usual players, who have been with him on other shows over the years: Sam de Leve, Bonnie Gordon, Amy Dallen, Aliza Pearl, Gina DeVivo and Hector Navarro, names you would recognise if you watch any Geek & Sundry or Nerdist at all. Calisto 6 takes place decades in the future after a cataclysmic event changed the face of California and Lost Angeles. It’s a world of corporations making rules and encroaching upon civil liberties despite popular backlash. In this setting are six young people exposed to a strange energy that changed them and gave them superpowers, something unheard of. So, this dystopian vision of the future, full of science fiction elements is now getting its first glimpse of a new breed of humanity, something beyond what they thought was possible. Cybernetics and robotics? Easy, you can get them at the store, but how does your reality shift when you see a man stretch and wrap around a falling tower? That’s what Calisto 6 is all about, a changing world and the people causing the change, with great powers, new responsibilities and in the line of fire of the different Corporate powers that seek to rule them. Calisto 6 airs every Friday at 4pm Pacific, or Saturday 1am for those of us in the UK. With the new edition of Vampire: The Masquerade released last month, games are springing up all around the internet but only this one has Jason Carl from White Wolf as the storyteller. This is a limited series at the moment, with a planned 8 episodes, four of which have aired so far and revolves around a coterie of 4 Anarch vampires in Lost Angeles: Victor Temple (B. Dave Walters), a Ventrue, Nelly G (Cynthia Marie), Toreador, Anabelle (Erika Ishi) the Brujah and Jasper (Alexander Ward) the Nosferatu. All but Ishi’s already knew each other and collaborated and they meet Anabelle during the first session when they track her down, following cases of students showing symptoms of anaemia. What I liked and keeps me hooked about this game is that it’s perfect to explain the game and world to new players. Not only does Jason Carl explain things brilliantly but Erika Ishi’s character, Anabelle is a newbie vampire turned against her will and left without explanations. She doesn’t know anything about the world of darkness and every episode has new things for her to learn. 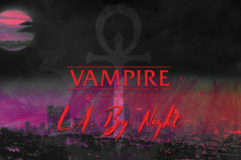 Vampire the Masquerade: LA by Night airs Fridays 8pm Pacific, or 4am UK time. This is a brand-new game on the Encounter Roleplay channel, using the Modiphius Star Trek Adventures system. There have only been two sessions so far but I’ve had so much fun with them. It helps that the game master is my friend—and one of the artists I work with on my super-evil projects—Kayla Cline. The game’s crew is comprised of T’Mal (Hadeel Al-Massari), a Vulcan, Lidra Ordan (Bluejay), a joined Trill, and Betazoid Tulla Taalur(Lysa Chen), who is quickly becoming my favourite character, if only because she’s a delicious source of chaos and conflict and is the kind of character I would kill if I were a player for how annoying they would be to me. Tulla’s a hypochondriac overbearing grandmother, all up in everyone’s business and with no filter between what she thinks and says. So far, the plot involves a mysterious parasite or fungus infecting Deep Space Nine and one of the station’s officers. The character’s scramble to find the answer and by episode 2 have come up short. More intriguingly though, they all seemed to have a shared dream sequence. They all experience different things, with one of them having something of a flashback, but they all fall into this state around the same time! Star Trek: Deep Space Five airs Wednesdays 7pm EST or Thursday Midnight for those in the UK. If you’ve seen Holly Conrad play Strix on Dice, Camera, Action, you should give this show a watch, as she steps into the Dungeon Master spotlight and takes a group of hapless adventurers on a journey through the setting she’s professed complete love and admiration for: Planescape. I admit I’m something of a newbie when it comes to that campaign setting but what little I know—from Dice, Camera, Action and Planescape: Torment on PC—has only made me want to know more. Planescape has so much potential in storytelling and so much weirdness to explore that I kinda want to run my own game someday. But in the meantime, I’ll just enjoy Holly’s. The show is currently on its second season and the first one already involved Cranium Rats, which are a small but wonderful piece of the weirdness you can expect from the Planescape setting. The party this time around is wonderfully strange, if not in class & race then in personalities and behaviour: Ann Prosser is here as well, now playing Wilhelmine the human rogue. Jimmy Whetzel plays Saturn the human bard and I’ve learned never to underestimate bards again. Chad Quandt is Reader, a Warforged rogue and Hadeel is also here as Nejma, the Elven Wizard. What I really love about this show is how well Holly brings Planescape and Sygil, the City of Doors, to life. She knows this setting and describes it beautifully, which as something of a new fan of Planescape, I really appreciate. I used to hate Star Trek, for a variety of reasons, but Shield of Tomorrow, with the same cast as Calisto 6, turned me around and made a fan out of me. Focused on the crew of the USS Sally Ride, an Intrepid-class Science Ship for the United Federation of Planets, the story begins shortly after the beginning of Star Trek: Voyager, around the time the Voyager goes missing, and ends after the Dominion War (Star Trek: Deep Space Nine). Though the campaign doesn’t touch upon those events and instead deals with its own original story, they respect the overall Star Trek timeline and it frames the story, determining which characters can appear as NPCs, or how the borders between the different governments are. For example, as the Sally Ride travelled to the Shackleton Expanse, the Klingon Empire broke off its treaty with the Federation, which meant that they were now in enemy territory and actively hunted by their former allies. The timeline they respected often added a wonderful bit of tension to the games. As for the story, it mixes personal quests with a galaxy-spanning mission that involves a strange phenomenon known as The Pull, which literally pulls astral bodies out of alignment, up to and including entire galaxies. The cast was fun and often intense: Sam de Leve played Commander Rue, the no—nonsense 2nd in command of the Sally Ride. Hector Navarro played Captain Martinez, a Kirk fanboy. Gina DeVivo played 2 characters, one appearing as a one-shot and then Chief Ren of Engineering. Bonnie Gordon played ace pilot and epic hacker Lark Sage. Aliza Pearl was Commander T’Lan the Vulcan Science Officer and Amy Dallen was Doctor Throlo, the Medical Officer aboard the Sally Ride. It was interesting to see these players form relationships between the characters while framed by a military hierarchy. So where in a D&D game they would joke and be honest, here they had to watch what they said to a superior officer who is also a friend. It’s a strange dynamic but they made it work wonderfully. Wil Wheaton should be an RPG storyteller more often. Titansgrave uses the Fate system in a science-fantasy setting co-created by Wheaton and featuring strange technology mixed with magic. Valkana is a place found and terraformed by an ancient race, with Elves and Saurians developing as the first few races. It has survived a cataclysm and a great war known as the Chaos War. It’s a world that endured great hardship and found the strength to rebuild, to forget past enmities and forge a new path ahead. The show had only a single season but had a wonderful cast of actors taking on the strange technomagic characters of this weird world in a complex story told by Wil Wheaton. You can find all episodes on YouTube and there is even a sourcebook for the settings (which I have on my shelf along with the Fate corebook, in case I ever have the urge to dive into this world myself). This is a show I absolutely adore and keep waiting for new seasons, though there hasn’t been one in a while and everyone involved seems to have moved on to new games and new opportunities. Game Master Ivan Van Norman plays a game using the Dread system, which eschews dice in favour of making pulls from a Jenga tower, and featuring complex sets and live action roleplay. The players never break character in these short yet intense horror stories. The first season was a sequel to the first time they played Dread on an Extra Life stream, and featured a group of friends camping and facing the reality of the nightmarish events that drove them apart a year earlier. The game was incredible to watch and Van Norman made it immediately clear how different this was to your usual RPG show. The second season, subtitled Madness, had a new cast of characters living in an old building in Lost Angeles, which seems to be on a spot where the barrier between our world and the strange outside planes where Elder Gods live is at its thinnest. The characters face forces intruding upon their thoughts, their sanity slipping and that’s without mentioning the forces actually after them. This second season is perhaps twice as intense and maybe that’s why I love it so much. The only downside is that you can only find Sagas of Sundry on Alpha, the subscription service for Geek & Sundry and Nerdist, but it’s a subscription that I find well worth it. This entry was posted on October 12, 2018 by GeekOut Team. It was filed under GeekOut discussion and was tagged with Calisto 6, Dice Camera Action, Geek & Sundry, Guest Post, Kevin Kutlesa, rpg show, rpg video, rpg web series, Sagas of Sundry, Shield of Tomorrow, Star Trek, tabletop series, tabletop shows, tabletop web series, The best rpg shows, Titansgrave, Trapped in the Birdcage, Vampire: the Masquerade.